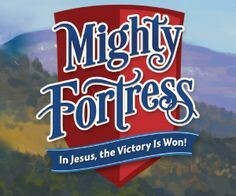 Mighty Fortress, in Jesus the victory is won! Contact Kelly Henrichs, VBS Director at khenrichs@liberty.k12.mo.us or Deacon Buchholz at dcnbuchholz@kc.rr.com with questions. In addition, watch for updates in the The Shepherd's Staff and on the church website.